Not big themes this week, just books that I find time to read while teaching. Yo! Short but sweet tonight. The Backstagers from Boom! Studios follows a group of theater kids at an all-boys school. The story starts as our new-to-school kid, Jory, tries to find a school club to join so that he is not so all-alone. But when Jory decides to take the plunge into the Drama Club, he realizes that the group of guys backstage is much more his speed. 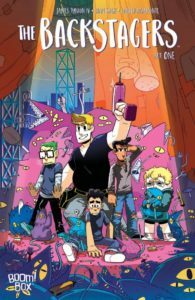 With artwork that is slick and very Steven Universe, The Backstagers tosses readers into a unique world of behind the scenes antics at the school’s theater. 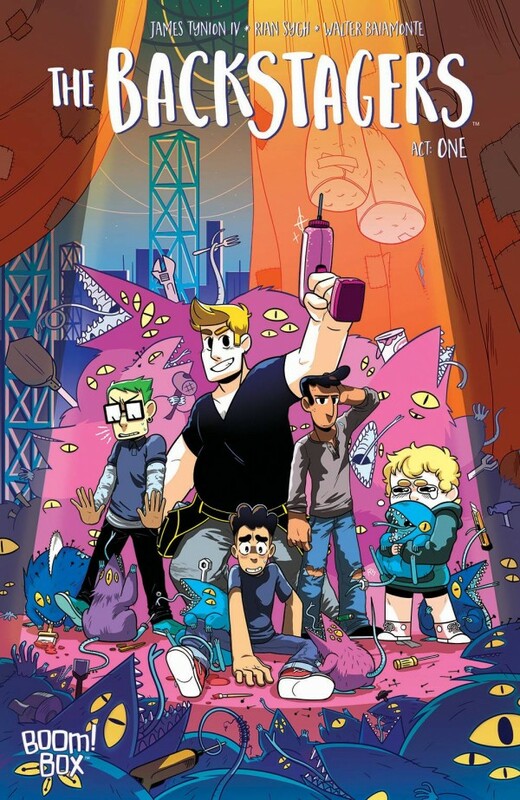 The Backstagers live in a world below the stage where strange creatures roam and forbidden hallways threaten the very existence of our geeky heroes! One part drama-geek, one part Indiana Jones, one part Goosebumps…The Backstagers should be fairly popular among teens from diverse cliques.